Let us help you put together a list of good reads. Read everything your favorite author has written and want to read more? Want a read-a-like of your favorite title? 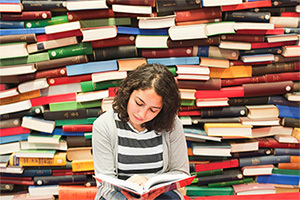 reading habits, the better we can match you with a list of new reading suggestions. If you are a returning select books user CLICK HERE to update past entries. A value is required. Emails do not matchInvalid format. Friday & Saturday 9 a.m.-5 p.m.
Sunday (mid-Sept-mid-May) 1 p.m.-5 p.m.